Pandesal is the most popular and traditional Filipino bread usually eaten during breakfast. The Pandesal recipe has been passed down from generation to generation and almost every family have this every morning. 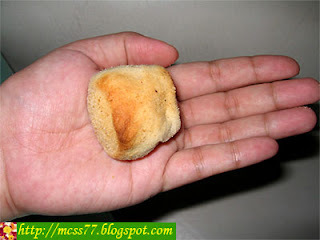 No doubt, Pandesal has always been a big part in our family and it reminds me of my childhood days. I can still remember vividly when dad used to bring us this bread every morning after playing tennis, his sport regimen. I was absolutely incredulous and gently scoffing down the bread. But fortunately the taste still came out perfectly and I like it! 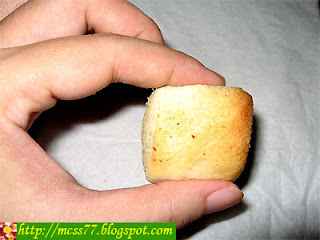 Pandesal bread is made of flour, eggs, lard, yeast, sugar and salt. It has a soft, powdery texture and can be prepared in a number of ways by using numerous fillings such as sausages, hams, corned beef, eggs and sandwich spreads. It is said that Pandesal is likely of Spanish origin, given the fact that the Spanish brought wheat to the Islands and that the name "pandesal" is Spanish for "bread with salt". The Pandesal continue to sell at P1.00 to P3.00 apiece.